Brrr...it's getting cold out there but you still want to train in the outdoors with the fresh air. 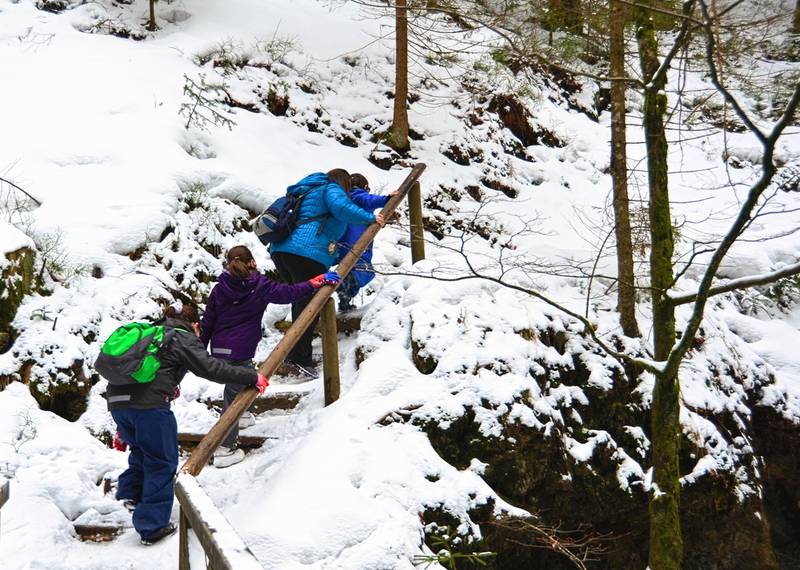 It can be challenging to be fully prepared for exercising in cold conditions. Following these tips may help ensure a safe and fun workout in a challenging environment! Layering your clothes becomes very important in protecting your body from different elements. Cover your skin to avoid frostbite and hypothermia. This becomes crucial when the temperature drops below 30-degrees. 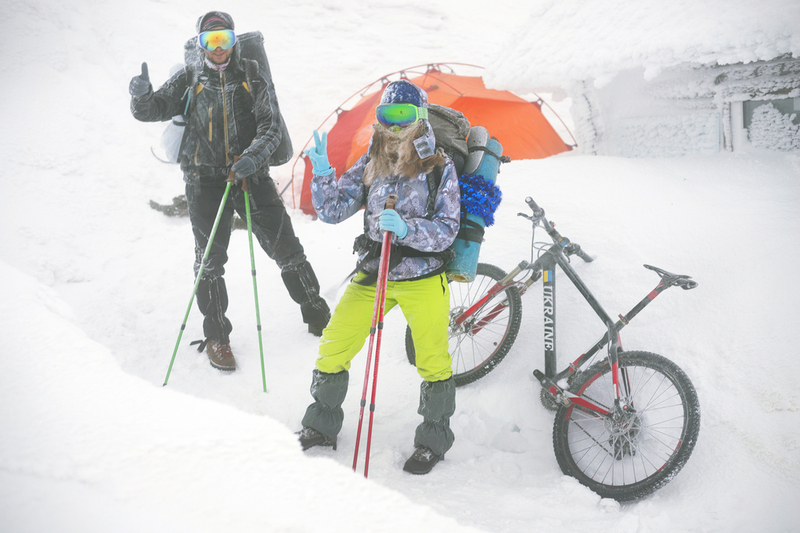 Start by wearing a base layer. Find one that will wick away moisture from your skin and will aid in keeping you dry. If you are running in temperatures below 20-25 degrees, you may want to consider mittens or lobster gloves which keep your fingers together. (This provides extra warmth.) Make sure to protect your ears and trap heat in by wearing a stocking cap, an ear-warming band, balaclava, or face mask. BONUS TIP: Don’t overdress. Wearing too many layers will heat your body up, producing extra sweat and making your body increasingly cold. You should be slightly cool at the beginning of your workout, if so, you have most likely dressed appropriately. Your body will produce extra heat as you contiune to exercise. If you are walking or running outside in snow and/or ice, make sure your shoes have adequate traction. You may want to use a trail shoe that has waterproof features to help keep your feet dry. Wool socks are also great for providing extra warmth. If you don’t have trail shoes you may look at purchasing screws or Yaktrax for the bottom of your shoes to provide extra traction and grip. If going out in the cold temps, it is especially important to warm up first. If you are going to be getting out of the “comfort zone” (ie .aerobic zone), and doing high intensity type exercise, it is particularly important to get your muscles, tendons, and ligaments warmed up. Start with easy jogging then add in some dynamic warm up drills such as arm rotations, high knees, skipping, and bounding to loosen up and promote blood flow to the working areas. Wearing sunglasses will protect eyes from the bright sun reflecting off of the snow and also block them from wind and other elements. Hydration is often overlooked in the colder months. 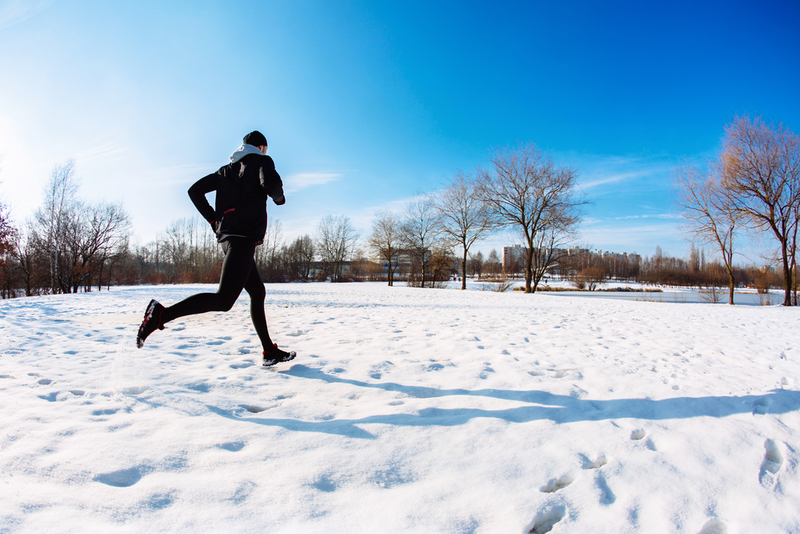 There can still be a significant amount of sweat loss when exercising in cold temperatures. If wearing layers, it is possible to sweat just as much as you would while in warmer temperatures. If you plan to take fluids with you while you exercise, use a sport drink to keep the liquid from freezing. If the cold weather has you wanting to stay indoors—try something new! The AlterG is a great way to get in a quality workout without the added stress of cold weather to your body. If you typically walk for exercise, you may want to add some variety to your plan by incorporating some jogging. The AlterG is the perfect way to stay indoors and get a great workout, all while being able to try something new! We have two convenient locations for you to use our AlterG: 2728 N 108th St and 7611 Pacific St. Call (402) 939-7939 to schedule a session at our Whispering Hills location or (402) 763-8774 to schedule at our Pacific St location. Hesitant about trying it out? Not to worry, call either of those locations for a free 10-minute trial. To learn more about our AlterG, click the following link to read about it on our webiste.